Friday, Oct 6, 2017, 11:30 a.m. – 1 p.m. Deploying onsite generation is not a new concept and fuel cells systems are becoming an alternative to conventional power generation equipment. However, simply using fuel cells as an alternative to grid or standby generators does not begin to leverage the disruptive nature of this technology. Microsoft has been researching and testing a new architecture that integrates a simple VDC SOFC system with a server rack. The benefits include cost savings and high efficiency but more importantly simplicity in design. We will review various architectures that can benefit many industries, not only the datacenter market. Sean James runs Microsoft’s datacenter research and development program within the Microsoft Cloud Infrastructure and Operations group. MCIO provides the foundational cloud infrastructure for over 1,000,000,000 Customers, 20,000,000 Businesses, 200+ Microsoft online services, in 90 Markets. Sean drives new datacenter technology for Microsoft’s next generation data centers including the evaluation, development, and testing. 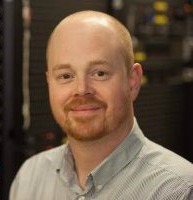 Sean joined Microsoft in 2006 to manage one of Microsoft’s datacenters. Later, he joined the construction team and oversaw the design and building of new Microsoft data centers. Prior to joining Microsoft, Sean worked in datacenter management overseeing the day-to-day maintenance and repair operations for both IT hardware and critical infrastructure, such as electrical infrastructure and cooling equipment. Prior to joining Microsoft, Sean served in the US Navy Submarine Fleet as an electrician. Sean holds many patents related to datacenters and energy, a computer science degree, and is a certified Project Management Professional from the Project Management Institute. He enjoys spending time with his family, guitar, and technology. The Clean Energy Institute Interdisciplinary Seminar Series was established to bring distinguished leaders in the field of clean energy to campus to present their research and meet students, postdocs, and faculty from departments across the Colleges of Arts & Sciences, Engineering, and the Environment.